Beautiful custom-built lakefront home on Lake Hamilton. 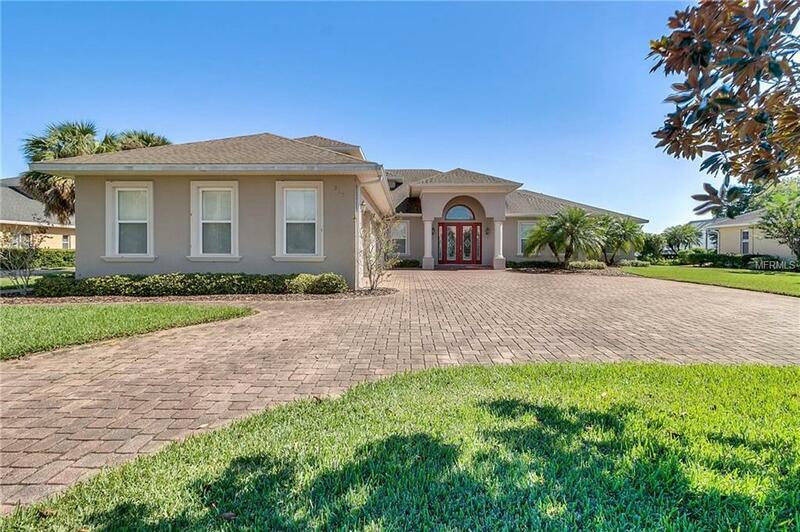 6857 sq.ft./5168 H/A home on approx 1 acre. LR w/double-faced fireplace to the Library that has built-in cabinets/shelving. 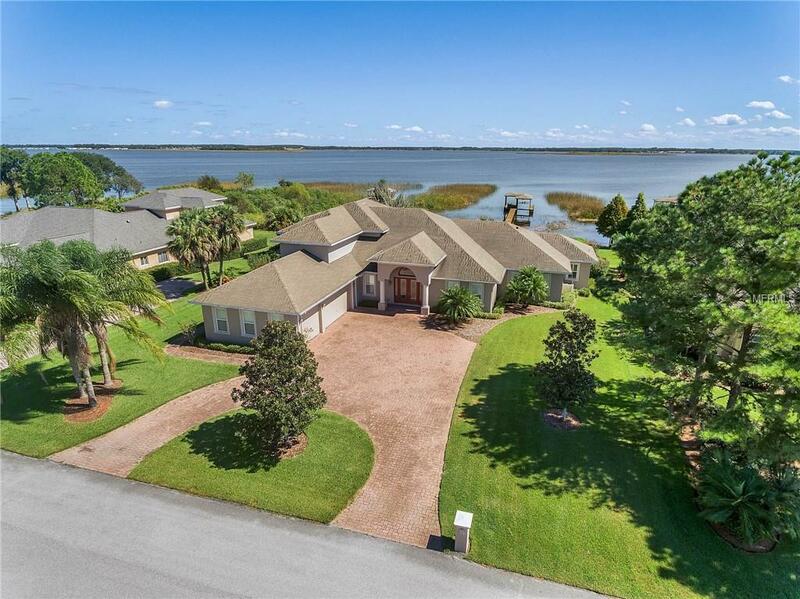 Spacious kitchen w/two islands, wet bar and custom-built wood bar. Open floor plan for easy entertaining. French doors offer a wall of light to the spacious lanai w/ample dining/seating space with a stunning view of the lake. First floor Master Bedroom w/fireplace nestled between the bedroom and Master Bath. Jetted tub to relax and enjoy the fires glow. Spacious walk-in closet with one of the homes two laundry rooms, is so convenient! Office and 1/2 bath off kitchen. 3 bedrooms, bath and Home Theatre room upstairs. First floor in-law suite w/easy access to main living area offers a perfect home for aging parents, nanny, guests, college student, visitors for the Holidays or it can be easily converted to a family/game room. This fully self-contained area has LR, Kitchen w/DA, bedroom/bath, laundry room. It has its own front entrance as well as entrance to the garage. The deep 3 car garage has built-in cabinets for plenty of storage space. 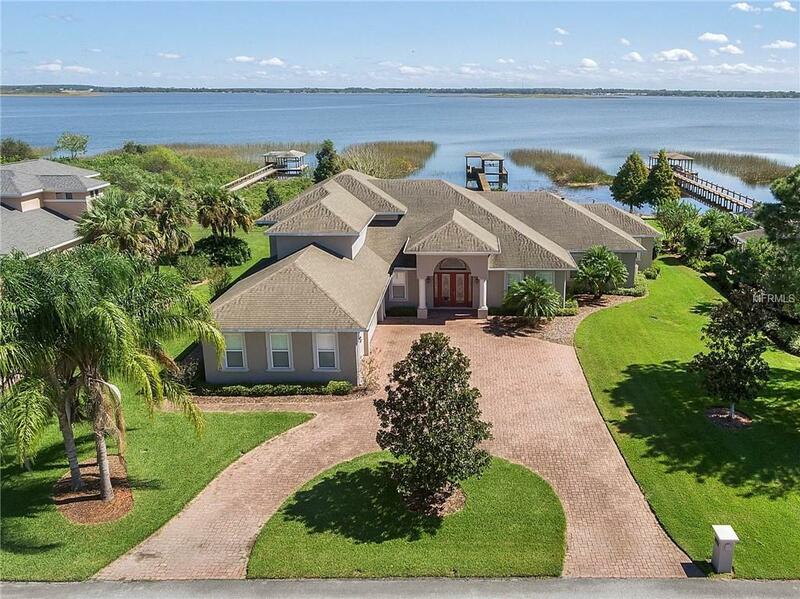 Dock, brick pavers, deep well for irrigation are just a few of the amenities this home has to offer. 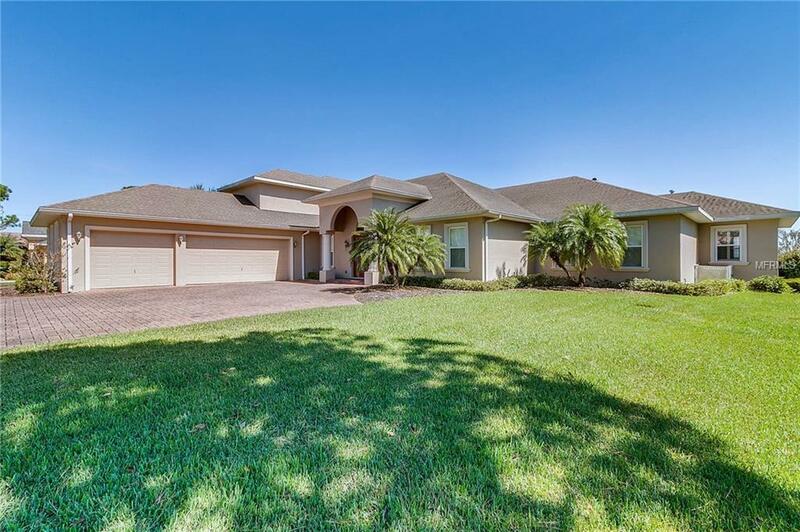 Easy access to I-4, airports, entertainment, yet nestled in the quiet/peaceful desirable Hamilton Pointe Subdivision. Listing provided courtesy of Propertio.